I went to see Black Panther last week. Yes I'm into superheros along with horror. 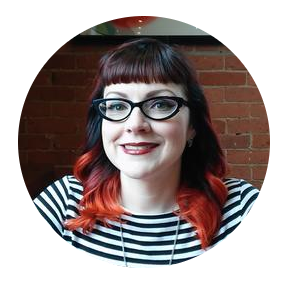 Why choose just one genre? Don't get me started on the DC vs Marvel debate though, I like ALL superheros. That's what happens when you grow up in the 1970s watching Wonder Woman on TV. 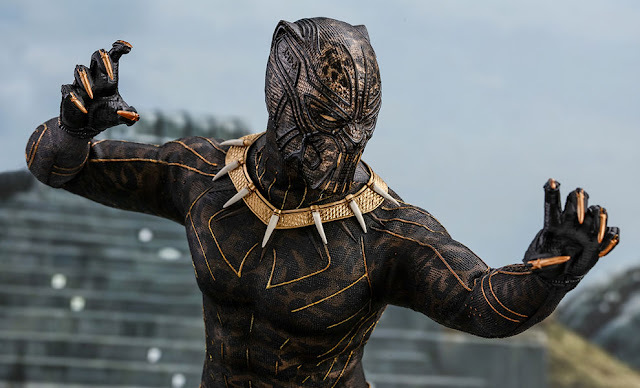 Erik Killmonger Black Panther costume. You can see that cat fur pattern, even though it's textured. 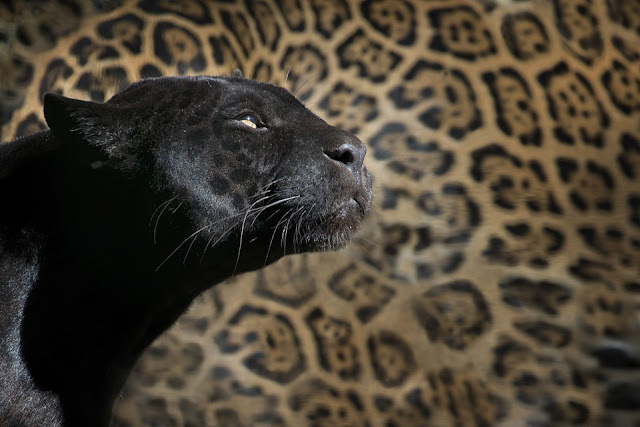 A real black panther with beautiful detailed spots. The movie got me thinking about our large wild cats and specifically...panthers. Anyone that knows me, knows I don't know my animals ~ I grew up in the city. I know cats, dogs, and fish and that's about it. I camped maybe once and it was a horrible experience. I'm not what you would call "outdoor-sy". The closest thing I get to loving the outdoors is sitting on a patio sipping a mai-tai. 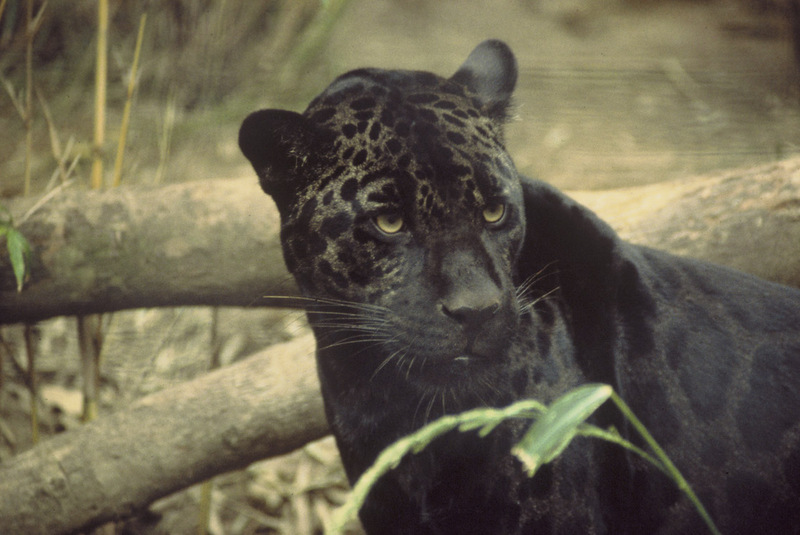 ~ The word "panther" refers to three kinds of cat: Cougar, Jaguar, and Leopard. 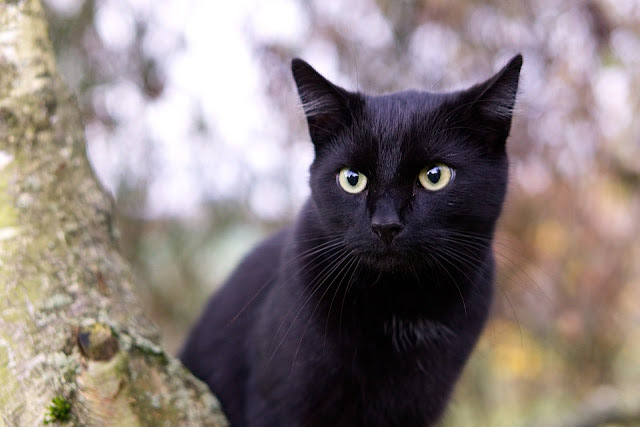 ~ Melanism is the dark color pigmentation that causes the fur to be black. Albinism is the opposite and can be found in snow leopards. ~ They are less fertile than other large cats and more aggressive. ~ They are great swimmers and strong tree climbers. They often hunt from trees. ~ They can leap 20 feet. ~ They have excellent hearing and eyesight. ~ Their color, naturally camouflages them at night, so they can hunt. ~ They can adapt to different climates, that's why they have survived even though their habitats are getting destroyed. Does your black cat think he's a black panther?